Bank of Baroda with a caption "India's International Bank", is the highest profit-making Public Sector bank in India and the third largest PSU bank in terms of number of total business in India. It is also the country's second largest public sector lender in terms of annual profit. The Maharajah of Baroda, Sir Sayajirao Gaekwad III, founded the bank in 1908 in the princely state of Baroda, in Gujarat. The bank was nationalised in 1969, by the government of India. As the caption suggests, Bank of Baroda has 91 overseas branches, mainly in world’s major financial centers like New York, Hong Kong, Brussels, London, Dubai, Singapore as well as a number in other countries. The bank is engaged in retail banking via the branches of subsidiaries in Guyana, Kenya, Tanzania, Botswana and Uganda. This space is dedicated for notifications of Bank of Baroda Recruitment for the year 2013. 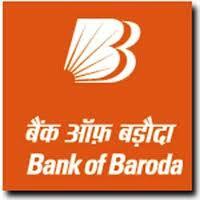 This post will be updated with all Bank of Baroda Jobs in 2013. This post contains notifications about Bank of Baroda probationary assistant manager recruitment 2013, Bank of Baroda probationary officers recruitment 2013, Bank of Baroda clerk recruitment 2013, Bank of Baroda clerk recruitment 2013 through IBPS etc.